South Sudan on Thursday called for foreign military intervention over armed confrontation involving forces loyal to its military wing, the Sudan People’s Liberation Army (SPLA) and the northern Sudan Armed Forces in border state of South Kordofan. Joseph Ukel, minister of higher education in the government of South Sudan, told said that the fighting in the Nuba Mountains of South Kordofan would not stop unless foreign forces intervene. “There is a need for foreign military intervention because nothing will stop the ongoing fighting in the Nuba Mountains from resuming anytime soon since the government of Sudan as officially announced allowing its forces to drive out SPLA forces from the area”, Ukel said. 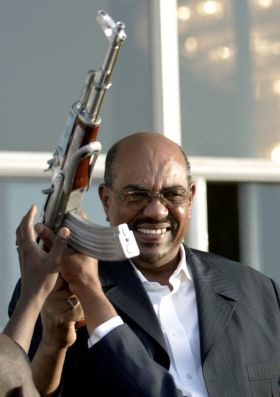 The Khartoum government gave SPLA forces from South Kordofan and Blue Nile an ultimatum to move south of the border or disarm otherwise they would be atacked by the Sudan Armed Forces. Despite fighting with SPLA, which became the official army of the south and part of a 2005 peace deal, many people from South Kordofan and Blue Nile joined the southern rebels in the civil war against Khartoum. The 2005 peace deal gave the people South Sudan and Abyei right to self determination while granting Nuba Mountains and Blue Nile States in central Sudan “popular consultations” to assess and determine the system of governance after the end of six years of interim period. Blue Nile State took part in last years general elections, which were marred with allegations of frauds and intimidation, returning Malik Agar the candidate from the SPLM, the political movement of the former rebels. However in South Kordofan the electionswere delayed over disputed results of a national census, conducted in 2008. A new census was conducted in March, 2011 and accepted by all the parties paving the way for conduct of the elections held in May 2-4, 2011. The NCP won the election, which was endorsed by international observers, by almost two votes to every one SPLM vote. The SPLM rejected the results claiming there were irregularities in the aggregation process and said it would not share any government brought into the power as part of the election. Eye witnesses in Dilling said Wednesday that a commanding officer of the Sudan Armed Forces in the area was killed along with eight other soldiers. A senior SPLA military officer was also reported to have been killed with two of his bodyguards. The United Nations Mission in Sudan office in Kadugli on Tuesday and Wednesday in an interview confirmed eruption of fighting in the town and subsequent killing of six people, 4 of whom were government police and 2 civilians but said it subsided on Thursday, though there were erratic shootings. While the SPLM had reported killing of 17 on Tuesday, eyes witnesses including employees of international organizations in the area say a lot of people have been killed. No independent report has confirmed the killing and it was not clear whether figures of people killed six reported by the United Nations were part of the SPLM’s report or not. The United Nations also announced suspending its operational activities on Tuesday and relocated over 300 staff members of UN agencies and international organization in the area. Multiple sources in Kadugli also said that the UN has relocated its staff members including staff members of the international organizations to various locations in Sudan. UN sources also confirmed eruption of heavy fighting on 8 June, 2011 including aerial bombardments by Northern forces. “It was tough yesterday. There was fire in every direction,” says a UN source who did not want to be named. “It was a cat and mouse game going on in the town yesterday between the armed forces. I cannot who was who among them anymore. We even had people coming to our camp and snatching people suspected of supporting the south,” the source said.